A circle can be one of those simple things that ends up being incredibly hard for artists to create. This is in part due to their perfect shape and absence of straight lines. You cannot use a ruler to create a circle, and if you wing it you run the risk of making an unsightly blob. Luckily there are a few easy ways to make circles easier to paint. Whichever method you end up using, ultimately you will have to draw out the circle in pencil ahead of time. One of the best ways to do this is to use a drafting compass. These can be bought at art supply stores and can be made to draw very large circles. You can also use the base of circular objects such as a coffee can, a soda can, cup or drinking glass. Simply trace around the base of the objects to create a circle. 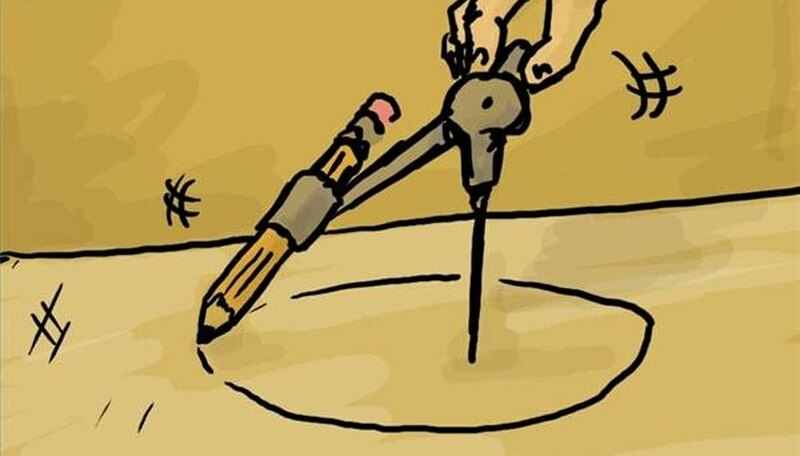 This method is not as ideal as using a compass for a variety of reasons: You must be careful to hold the point of your pencil in the exact same way or the circle will be slightly warped, and you are limited to the size of the object. 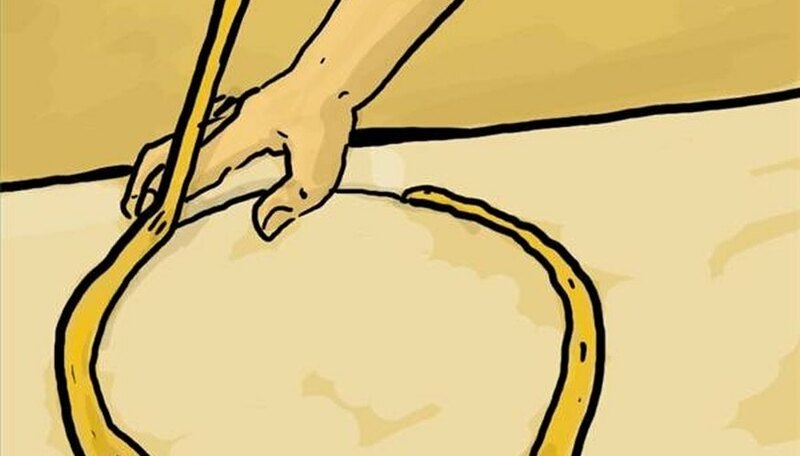 After you have drawn your circle, you can tape or mask the area around the circle to ensure a clean, crisp shape. One way to do this is to use auto-detailing tape around the pencil circle. Lay this out across the circle guideline and then rip off tiny pieces of blue painter's tape and place them along the edge of the auto-detail tape. You can then paint the area and be confident that no spills or stray marks will go over the taped-off area. Another way to do this is to use a masking paint. 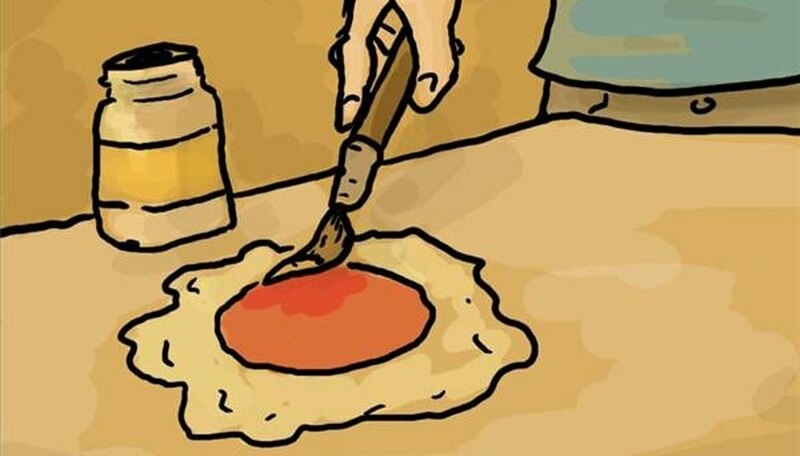 This works especially well if you are painting with water colors. You can paint around the outside edge of the circle with the masking solution and then paint the circle without fear of the paint slipping over your clean edges. After you are done, you can remove the masking solution with an eraser. You can also paint the masking inside the circle instead and leave a circle of negative space.